Does this look like something you’d pay sixteen dollars for? Each flapjack came to over five bucks. Think about it. $5.33 for a single pancake. They were good, but not great, and not as good as those at Du-par’s — which cost less than half as much. “Where oh where did you endure such indignity, ELV?” you’re probably asking yourself right about now. Where else, but the Wynn Hotel, of course. Where overcharging for mediocrity has become SOP. The meal pictured above came to $140 (before tip), which included an unrequested bottle of Pellegrino (nice $8.50 scam that), and a tiny cocktail glass of a smoothie for nine bucks. To be fair, the house-made elk sausage was mighty tasty, but everything else about the meal was standard (albeit very expensive) issue, and we left hungry. Service was equally metronomic in a room barely half-full with aging douchebags, fading babes and clueless foreigners. None of them seemed to mind paying seventy-five dollars a couple to eat an average breakfast in Steve Wynn’s version (circa 2004) of luxury . Don’t hold back John, tell us how you really feel,lol. Thanks for your reviews. You haven’t gotten back to me yet about Aug 31-Sep3rd. Artificial Maple flavored syrup, extra!! You have nobody to blame but yourself, it baffles me why a foodie would order flapjacks at Tableau where there are much better options to choose from such as the Elk Sausage & Eggs and Confit de Canard. Unless of course the goal was to create an excuse to bash Wynn. Wait a second… On second though I just saw the new menu, and it is totally lame, the great dishes have been removed. Feel free to bash away at Mr. Wynn and his lack of tastebuds, apparently he deserves it. Where else? The Wynn Hotel, of course. Where overcharging for mediocrity has become SOP. Not gonna dig to deep on this one but its a pretty grand generalization for the whole property, even thought I do agree with a few places. Lets build a better case next time. ELV responds: Points well-taken @IntheCards, but remember: we go to every restaurant expecting/hoping/praying for a life-changing meal. Wynn/Encore’s prices have always been the highest on the Strip….and we were hoping for quality to match, as we’ve always liked Tableau. We’ve done enough Wynn-bashing for three websites, but sadly, our worst fears upon the closing of ALEX have been realized. 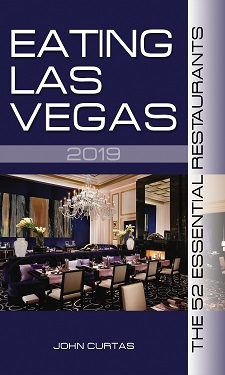 We don’t want to call any place in Las Vegas a tourist trap, but when you see the prices, and compare quality, it’s obvious you can eat far better down LVBlvd. South, for less money. At this juncture, the only W/E restaurants we can conceive of ever going out of our way to eat in are the CC Grill, Bartolotta and Sinatra…and even then, we’ll only go if someone else is paying the (considerable) freight. For 31 dollars for lobster benedict, it better be more delicious lobster meat and not that knuckle and claw meat they have chopped up in that picture, with cheap non house made english muffins. I’m sure bon breads could make them some. Whats up with the chincy on the sauce? You missed the boat. They used to serve a kobe short rib dish that rocked. Sadly they took it off the menu. An expensive coffee shop by any other name is the same. Go to Katy’s in the Riveria for the same food at 1/3 the price. Had a great breakfast at Del Mar Cafe on Durango and Edna. Great prices, flapjacks have a little vanilla flavor to them, bacon is crispy and a horse track theme with racing ponies on the tube. Too bad no OTB window. Had lunch here last Thursday after spending the night because we were not in any shape to drive back to Summerlin. 4 people, steak salad, 2 crab sandwich’s, a dozen oysters and a side of fry’s, 2 Stella’s and 2 bloody Mary’s and 4 espresso’s all good however very small portions especially the $7 “old bay fry’s” which btw are only $6 on “brunch day” go figure. Total tab $238.00 stupid price for an average lunch. The beverage prices here are way out of control.